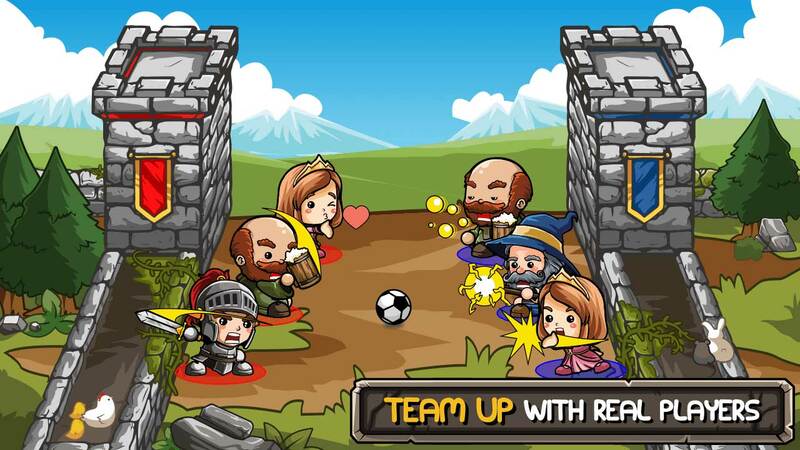 Home #ADDICTIVE Dirty Soccer Online – Fight fearlessly or forget victory! Dirty Soccer Online – Fight fearlessly or forget victory! Do you want to play soccer and battle with real players from around the world? 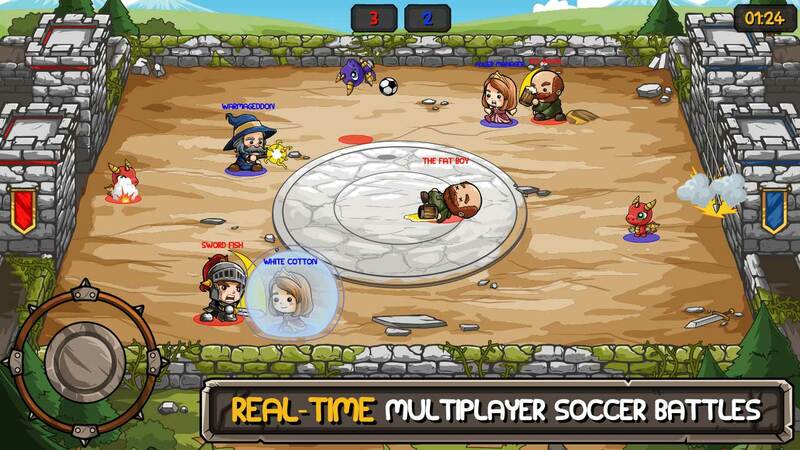 We invite you to our real-time multiplayer online mobile game, Dirty Soccer Online. Taking you into a world of medieval times, Dirty Soccer Online promises you not only the pleasure of a soccer game but also the thrill of a battle arena. The goal is to fight against real players and score goals in live matches. You will need to get strategic and score the most points in order to be a worldwide champion. Dirty Soccer Online is a free-to-download sports and action game available for Android. 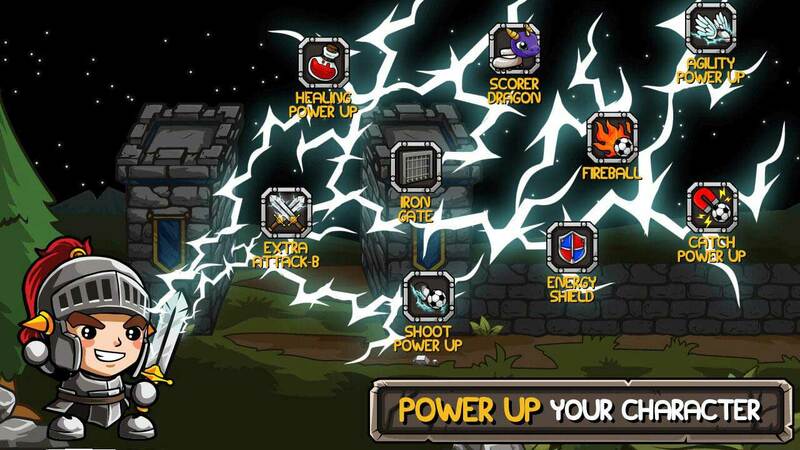 When you enter the game, you first choose a medieval character: Knight, Wizard, Princess, or Monk, each of which has different powers. Then, in 3v3 live matches against other players worldwide, you fight against your opponent team as you try to score goals in their castle. You control your character by using a touch-screen joystick and tapping action buttons. The fight gets much crueler as each team starts utilizing extra defensive and destructive items. The main challenge is to play as a team and use the items wisely during the soccer battle. Featuring cute visuals, responsive and finely-tuned controls, and clear gameplay details, Dirty Soccer Online is easy and fun to play. As you face off against real players worldwide, beating their scores and moving up the top player’s list on the leaderboard will be your challenge in this thrilling yet enjoyable soccer battle game. VAHA is a strongly coupled team, as Vahit and Hande, who have just recently stepped into the gaming industry from Istanbul, Turkey. They focus on creating high-quality mobile games, especially with real-time multiplayer features. This article was Published by Edamame Reviews, Written by VAHA.